Homeowner 101 – Central Heat Not Working, Now What? Even if you live in a state where it doesn’t snow during the winter or reach blisteringly cold temperatures during the day, you still probably have central heat. 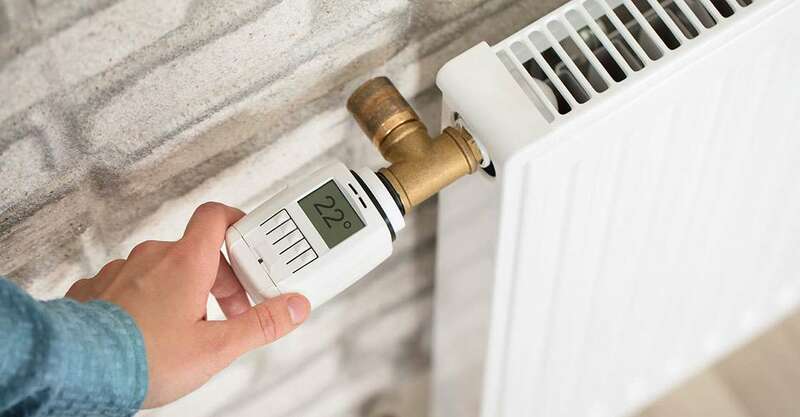 It can get pretty cold at night even in some desert areas, and as a result, you usually need central heating to keep your house warm. Sometimes you might find temperature control issues like your central heat not working. When the heater stops working your first instinct might be to call a maintenance specialist to come to fix it, but that’s not always the best choice. Often the problem can be solved by you alone, just by following a few furnace troubleshooting tips. Let’s take a look at some of the tips you can use to save yourself money on repair costs potentially. When it comes to central heat not working, the first step to diagnosing the problem is simple. When your furnace won’t ignite, the first thing you should do is check your thermostat. Turn it on and set the temp to the degree that will make the heater turn on. If it doesn’t come on, check your circuit breaker to see if the breaker for your central heating unit has been tripped. If it has, turn it off and back on again. Also, check to see if your furnace door is entirely closed, and check around for blown or burnt fuses as well. If your thermostat runs on batteries, try using a fresh pair. Find the cold air returns to your house and take the screens out so you can check your filters. These filters typically need to be cleaned at least twice a year, and if they aren’t dirt and grime can build up and block them. Replace your filters if there are dirty and see what kind of difference it makes. Home heating systems that use a gas or propane powered setup have a pilot light at the bottom of the unit, usually near the floor. Your system will not work if this light goes out. After checking everything else, turn off your gas reset valve located inside the unit. Wait 5 full minutes and turn it back on. If this doesn’t work, make sure you have gas. If you do have gas and still find your central heat not working, you might need to replace your igniter. One last tip, if the flame is out on your pilot light, you might need to light it again yourself. You’ll also want to take a few other precautions such as checking to see if your registers are open and checking to see if your blower motors are working. You might need to replace the belt on yours if it’s not. By going through all of these steps, you can adequately take care of the problem yourself and save a decent sum of money in most cases. If you find your central heat not working, run through all the steps in this list, and if it still doesn’t operate properly, it might be time to replace the furnace in your home.